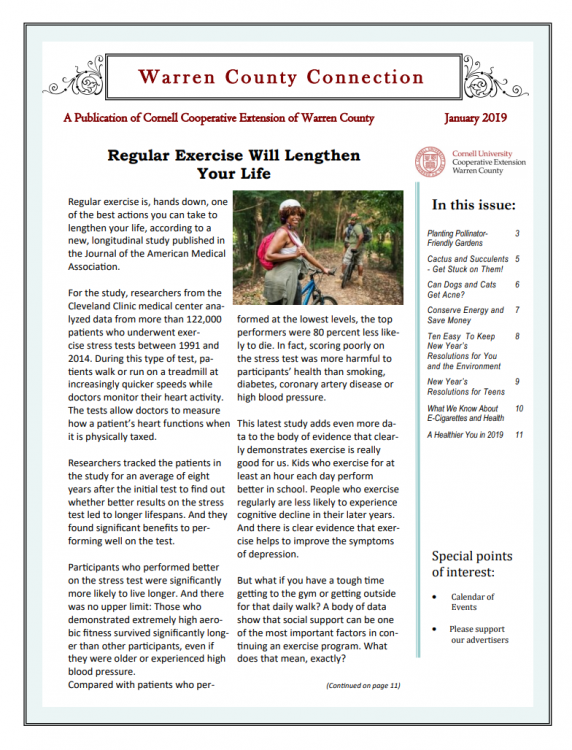 The Cornell Cooperative Extension of Warren County distributes the Warren County Connection, a monthly publication that provides valuable information on everything from gardening to pests, health tips to pet information, all focused around our regional needs. Click on the image below for the January 2019 edition, and browse all the 2018 editions here! Enjoy!